Chunky Designer Long Low Luv Ring By Erin Wasson. Chunky Designer, Long, Low Luv Ring By Erin Wasson. 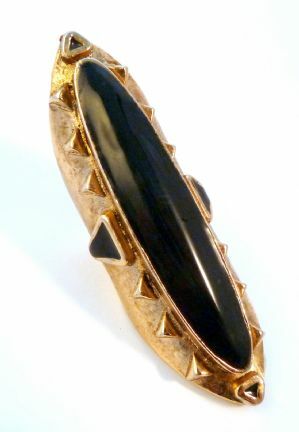 Chunky, long statement ring by designer Low- Luv Erin Wasson. Chunky, long length, statement designer ring by Low Luv Erin Wasson. UK Size M, US size 6 1/4, ring is approx 7cm in length. Signed Low Luv Erin Wasson to the inside of the ring. Good condition, some light wear to enamel. Striking large, chunky modern designer ring.